Sitting beside Israeli Prime Minister Benjamin Netanyahu on the sidelines of the World Economic Forum in Davos, President Donald Trump made it clear on Thursday that the US will withhold aid money from the Palestinians until they return to peace talks with Israel. According to David Bedein of the Center for Near East Policy Research, the United Nations Relief and Works Agency for Palestinian Refugees (UNWRA), for example, has received advances from Belgium and other countries to make up for funds withheld by the US. What concerns Bedein most, he explained, is that there is no supervision to prevent the UNWRA-run schools, whose teachers’ union is controlled by Hamas, from practising incitement to terror. Jordan is home to many Palestinian refugee camps serviced by UNWRA, and there are concerns of major unrest in the Hashemite Kingdom if funding is slashed. Klein said that the US is looking at other ways to punish the PA for boycotting Washington’s mediation efforts. 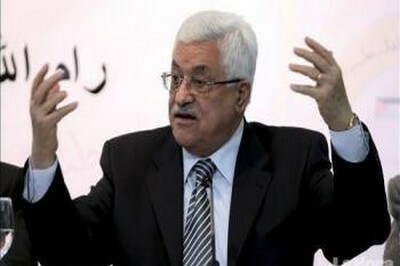 “The conspiracy out there is that the US is priming [Palestinian President Mahmoud] Abbas’ arch enemy, Mohamed Dahlan, to replace him.” Klein does not necessarily buy into the theory, emphasizing that the Israeli security establishment, Egypt and Jordan want to preserve the status quo. In 2017, the US gave around $700 million in support to the Palestinians, of which roughly half went to UNRWA. The agency has a mandate to provide schooling, health care, and other services to more than three million Palestinian “refugees” across the Middle East.